This is a sponsored conversation written by me of behalf of Ball Park® brand. The opinions and text are all mine. 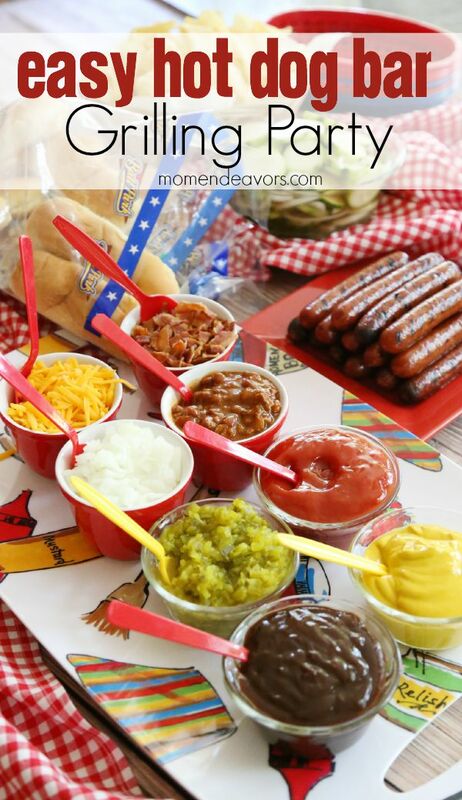 I’m sharing an easy & fun hot dog bar idea, perfect for your grilling parties! 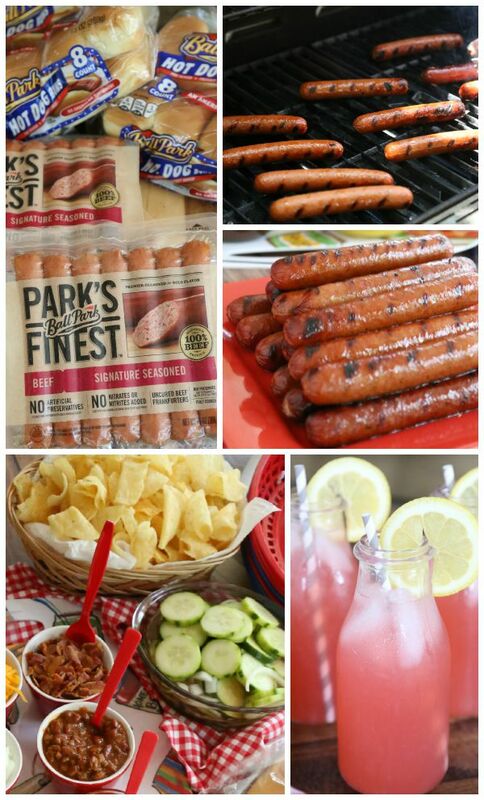 We LOVE a good backyard grilling get-together with friends! And sometimes, I want those grilling parties to have a nice look without having to put in hours of party-planning work. Who’s with me?! 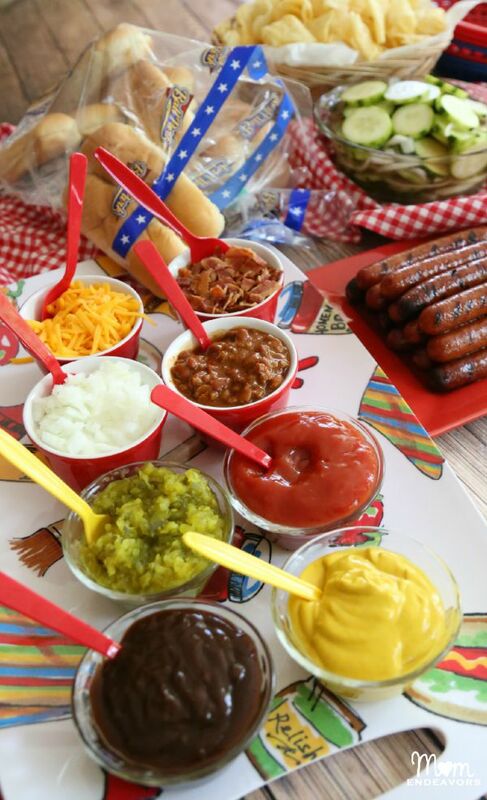 Putting together a fun hot dog bar is such a great solution! With just a few special touches, you can have a super tasty and nice-looking spread! The star of the spread for a grilling party of course needs to be whatever you’re grilling. 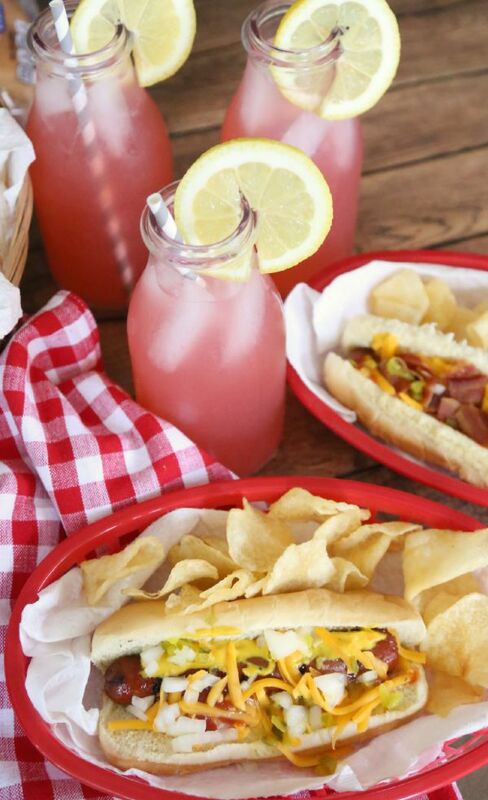 For ease, we obviously went with hot dogs! Not much work required, quickly done on the grill, and a favorite for kids too! To take the hotdog experience up a notch though, we went with Ball Park Park’s Finest hot dogs. There’s options like Signature Seasoned (what we went with), Jalapeno Cheddar, Slow Cooked Chili, Slow Smoked Hickory and Cracked Dijon Mustard, there’s some super tasty options! 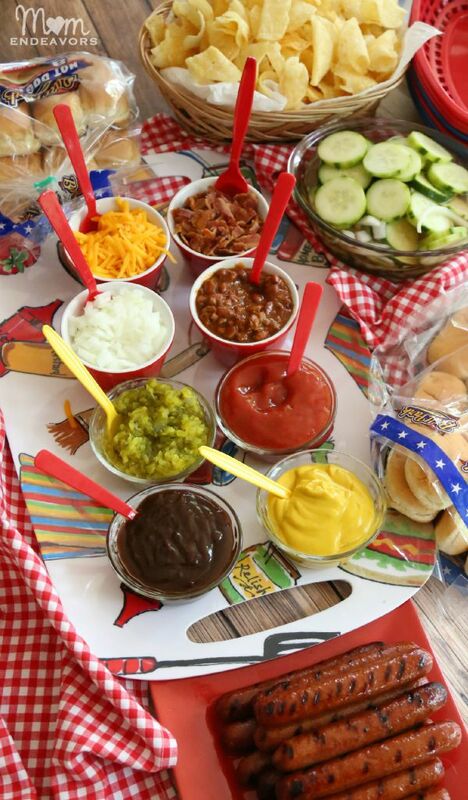 Then, you need also need the toppings to create your hot dog bar! We went with some classics like ketchup, mustard, BBQ sauce, pickle relish, onions, chili, cheese, and crumbled bacon! Simple, yet fun and good! The beauty of a bar like this is that it takes VERY little time to prep and you can get as creative as you’d like with the bar options. For whatever you choose, just put the ingredients out in small dishes with a spoon in each. Guests can load up with whatever toppings they prefer! I think having choices always makes guests feel more comfortable at parties. So a simple bar like this is a great way to accomplish that! I love using the classic food baskets too! Then, just make sure you have some drinks and a few sides too. Raspberry lemonade is big favorite here! Serving up drinks in mason jars or vintage milk bottles is perfect for easy entertaining! Add in some sides like potato chips, cucumber salad, or marinated vegetable salad and you’ve got a great grilling spread – perfect for any gathering of friends and family! And, speaking of great grilling spread – how about joining a team of grill masters attempting to break the world record for the longest running group BBQ at the Finest Grillathon?! On August 13th in New York City, Ball Park and its grill masters team will be doing just that and YOU could win a trip to NYC to be on the awesome team!! Visit The Finest Grillathon at Food Network to enter and get all the details! 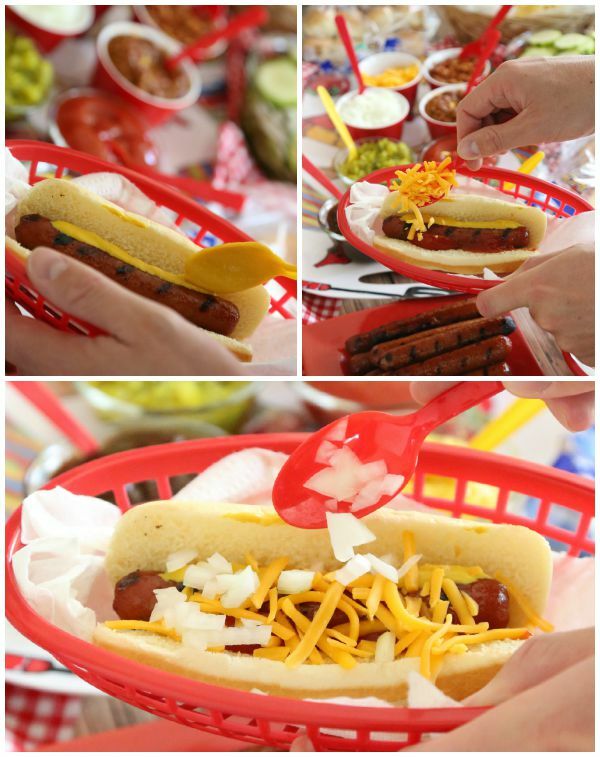 What is YOUR favorite thing to eat with and/or on grilled hot dogs? !